Black Harry preached during the Second Great Awakening to both black and white congregations, bringing many to Christ. He was admired across racial lines for preaching the already-not-yet kingdom, but served within a church that treated him as almost-but-not-human. Because of this treatment, his story is virtually unknown today. He was admired across racial lines for preaching the already-not-yet kingdom, but served within a church who treated him as almost-but-not-human. The typical order of service featured Asbury preaching to the white congregations, and Hoosier speaking to fellow African Americans. Soon, however, requests for Hoosier to also preach to the white congregants became routine. It became clear that God’s Spirit was at work in Hoosier, as he saw many converted. Asbury wrote in his journal that to draw large crowds he would announce Hoosier as the headliner. The Second Great Awakening was a time of rapid growth in Methodist and Baptist churches. 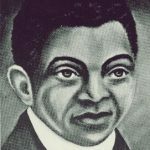 Twenty percent of the Methodist movement’s early growth (1790–1803) was due to African-American membership, which overlapped with the height of Hoosier’s circuit preaching. Hoosier skillfully used melodic speech to extol the glories of God in salvation, while demonstrating a rare ability to bring hearers to moments of emotional tension. He ministered with zeal, prayed with power, and often dramatized biblical stories to proclaim the urgency of salvation. At a most unexpected time, he arrested the hearts of mixed-raced audiences all over the East Coast. Some 18th-century Quaker communities thought Hoosier spoke by “immediate divine inspiration.” This portrayal of his preaching captures the impressive voice and incredible memory Hoosier put on display as he expounded long passages of Scripture. One eyewitness account tells of a time Hoosier overheard a white hostess at a preaching engagement declare “she would not hear ‘The Black'” preach. Rather than lose heart in despair, he simply prayed all afternoon in anticipation of the evening service. As Hoosier stood in the pulpit later that evening, he spoke about how all people are suffering from sin, but that God has sent a gospel remedy via a physician—a black physician—to heal sinners from their condition. He boldly challenged his white listeners to consider why they would reject God’s physician-messenger just “because his hands were black.” That night God used Black Harry to convict the hostess and many others as they responded to the gospel and repented of their bigotry. Historian William D. Piersen makes a strong case that the origins of Indiana’s nickname can be traced to followers of Harry Hoosier. While the jury is still out on this claim, it’s often the case that the hidden figures of history turn out to be pillars on which we stand. Although we lack many primary sources and manuscripts documenting Hoosier’s legacy, may the remnants of what we have challenge us to bring other stories like his to light in these troubled times. Courtlandt Perkins is a husband and master of divinity student at Southeastern Baptist Theological Seminary, where he is hoping to also pursue a ThM in applied theology. He serves the Kingdom Diversity team at SEBTS, and he’s a member of Imago Dei Church.